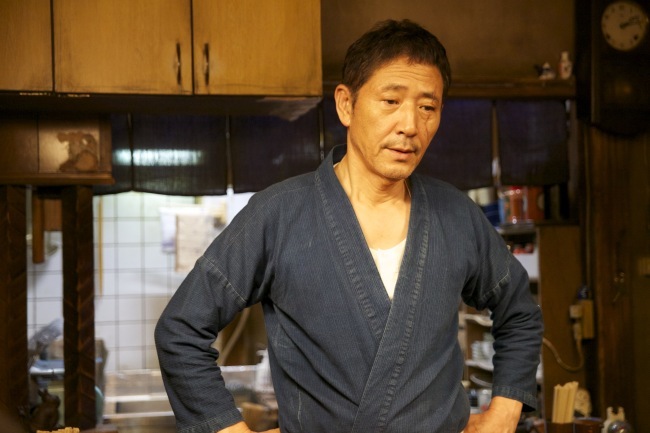 Tokyo is a place where folks from different regions gather, according to "Midnight Diner." Likewise, it is a motley crew that gathers every night at the small eatery tucked away in the back alleys of the capital’s bustling downtown. Open from the odd hours of midnight to 7 a.m., the Midnight Diner is a sort of urban haven for the city’s weary souls, attracting disparate characters from transvestites to yakuza-like mobsters, meek businessmen and chatty ladies who all seek solace in food and conversation. And like the cuisine of its country, this Japanese film ― based on the beloved comic book series of the same title by Yaro Abe ― is mild but heartwarming, one that neither judges nor imposes, but simply reminds us that in between meals, we’re all doing what we can to get by. Helmed by award-winning director Matsuoka Joji, the film is neatly divided into three portions, each centering on a homey Japanese dish: Neapolitan spaghetti, a tomato ketchup-based pasta served on top of a lightly fried egg roll; yam rice; and Japanese-style curry. These dishes each tell the story of a money grabbing divorcee, a wandering homeless girl ― beautifully portrayed by Tabe Mikako ― and a man bereaved of his wife in the Fukuoka earthquake. Each visits the diner and develops a relationship with the chef, a man referred to only as Master, and who quietly listens to his customers’ stories and cooks up a warm meal to fill both their bellies and their hearts. Meanwhile, viewers are given only a small glimpse into the life of Master. His own story and the long scar down his left eye are given no explanation, but left open to interpretation and “the imagination of each viewer,” said Kobayashi, as Master’s role is to listen, to host. He neither offers extensive advice nor intrudes too deeply into the affairs of his diners, but, without a word, always whips up a comforting bowlful. “In Japanese bars, we say that a bartender ‘conceals his expression,’ because he does not impose his presence on his customers but listens to each person’s stories, then quietly serves a drink that fits the situation. I thought Master should be the same way,” said Kobayashi. Such is the warmth of the film. Each story is unraveled gently, with an unimposing kindness, just as the characters are never urged, but left to tell their stories at their own pace. Amid sizzling pans and the simmering miso broth of pork soup in Master’s cramped kitchen, in between warmly-lit paper lanterns and kimono-clad hostesses, and through the tinkling of wind chimes and a strolling acoustic soundtrack shines a sense of humanity. “Midnight Diner” opened in local theaters on June 18.